Given the significantly suppressed endogenous testosterone, a course of Androxine 50 mg is not recommended. Boundary safe dosage is 50 milligrams of aqueous suspension daily for a month. Excess rates or duration of the course is fraught with side effects, to prevent which from the second week of taking trenbolone and up to the end it is recommended to include gonadotropin. 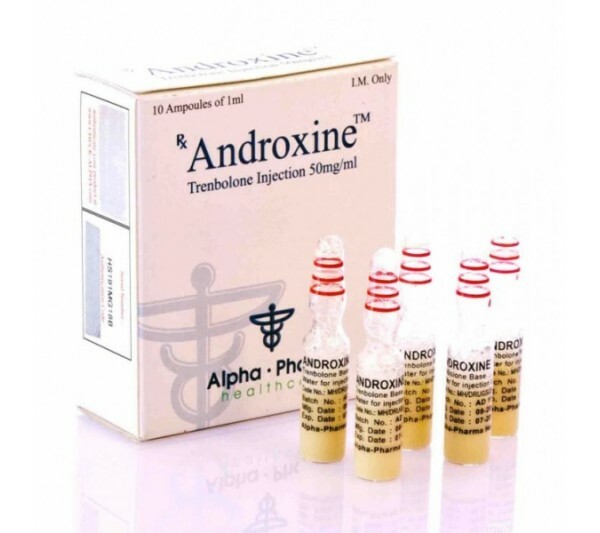 About how to take Androxine suspension with other anabolic and androgenic steroids, information is not so much. To gain muscle mass to include additional drugs is impractical because this AAS is quite powerful and provides a significant increase. The best combinations for "drying" are trenbolone with Anavar or Winstrol in half dosages. The duration of the combined course should not exceed two months. Androxine cycle. The drug is best suited to you in the event that you need to increase your strength as soon as possible. Due to its form, the steroid almost immediately enters the bloodstream, which means it begins to act several times faster. Many athletes use it during the preparation for the competition.